Real American Alligator Foot Backscratcher | BUDK.com - Knives & Swords At The Lowest Prices! Gator claws are great "scratchers"
Be the toughest guy (or gal) around - tell your friends your back got scratched by an actual alligator foot, and you lived to tell the tale! 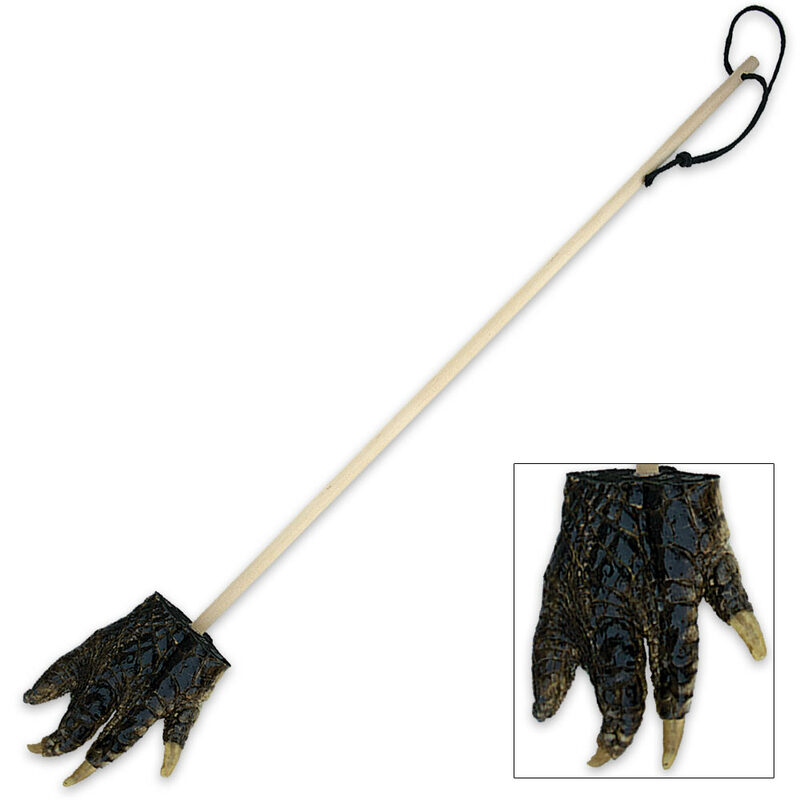 You won't be lying with this offbeat but oh-so-cool Alligator Foot Backscratcher! It features a long solid wood rod for all those hard-to-reach nooks and crannies and a cord loop at the top for easy hanging. But the heart and soul of this wacky backscratcher is actually the foot - a genuine American alligator foot, that is, complete with scales, webbing and of course four scratchalicious claws. Use it once and you'll wonder why you ever used those boring old wood or plastic backscratchers! It makes a hilarious gift sure to be remembered for years to come, and at this price there's no reason not to grab a bundle! Order today and start scratching your back like a true swampman (or swampwoman)!